BudBuilt utilizes every possible attachment point, as well as additional load distributing supports, and overlapping plate designs to eliminate frame crossmembers from crushing inward during hard impacts. Unlike the OEM design, our system completely isolates the transfer case from all potential impacts. Safeguarding your transfer case and transmission from expensive damage and breakdowns. A purpose built fuel tank armor eliminates punctures from large rocks and tree stumps. 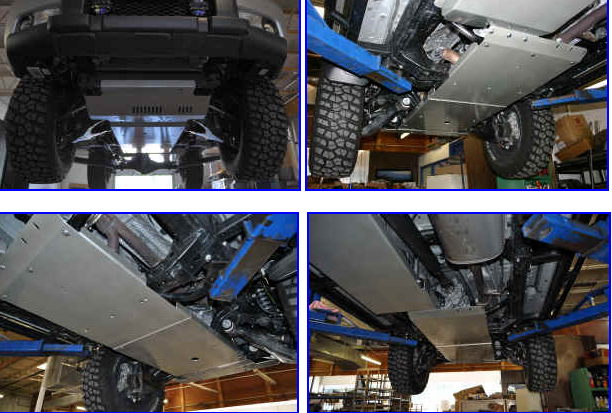 BudBuilt went a step further and engineered the 4Runner's armor systems to not just work with stock exhaust routing, but with high clearance exhaust modifications. The OEM exhaust mid-pipe routes under the transfer case, a simple modification for any exhaust shop, your trucks mid-pipe can be routed from under to around the transfer case. 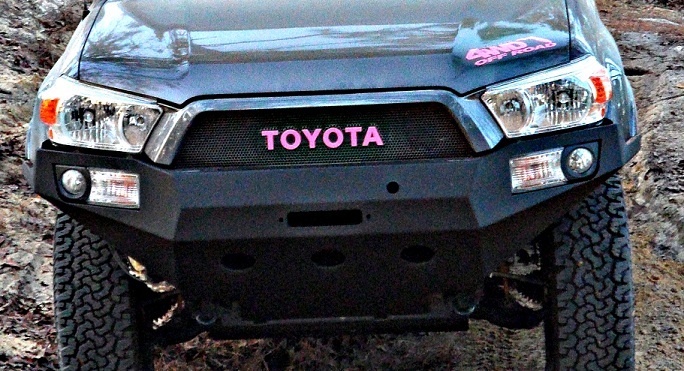 Our plates include a bolt on, laser cut, load distributing spacer for the OEM exhaust setup, simply remove this piece with a future mid-pipe modification and gain 1" additional ground clearance at the center of your 4Runner. If you are running 33" tires, this modification will be the equivalent of running on 35" tires. We at BudBuilt, do not want to sell you the same product twice, we take pride in knowing that our products will stand the test of time under regular abuse. Anyone can go exploring, but BudBuilt can bring you back.